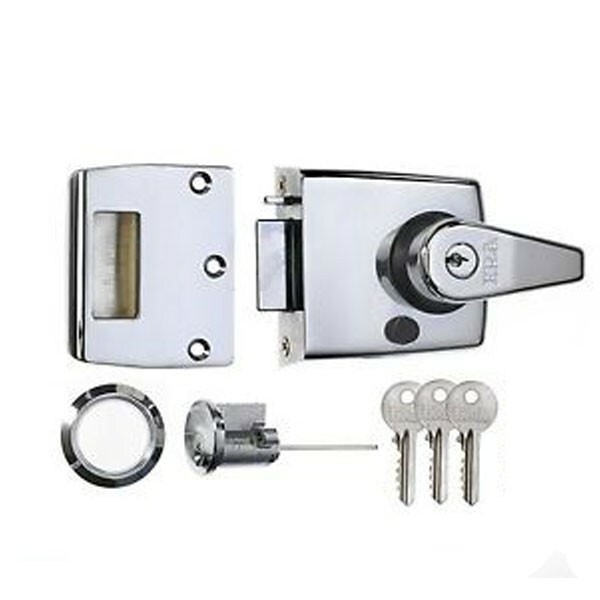 The ERA Double Locking Nightlatches are designed to replace most front door lock, and are available with a 40mm and 60mm backset. Both the Era 183 & 193 are ideally suited to be fitted on solid as well as glass panelled wooden doors, as the locks have been designed with an ergonomic internal locking handle which offers added security against forced entry. The main lock bolt is “automatically” deadlocked when the door is closed, preventing the main bolt being retracted by a credit card. The inside handle can be deadlocked by an anti-clockwise turn of the key from the inside so securing the lock against forced entry. The bolt can be held in the withdrawn position (only) with the use of the snib feature.